Missguided - 50% off 100's of dresses! 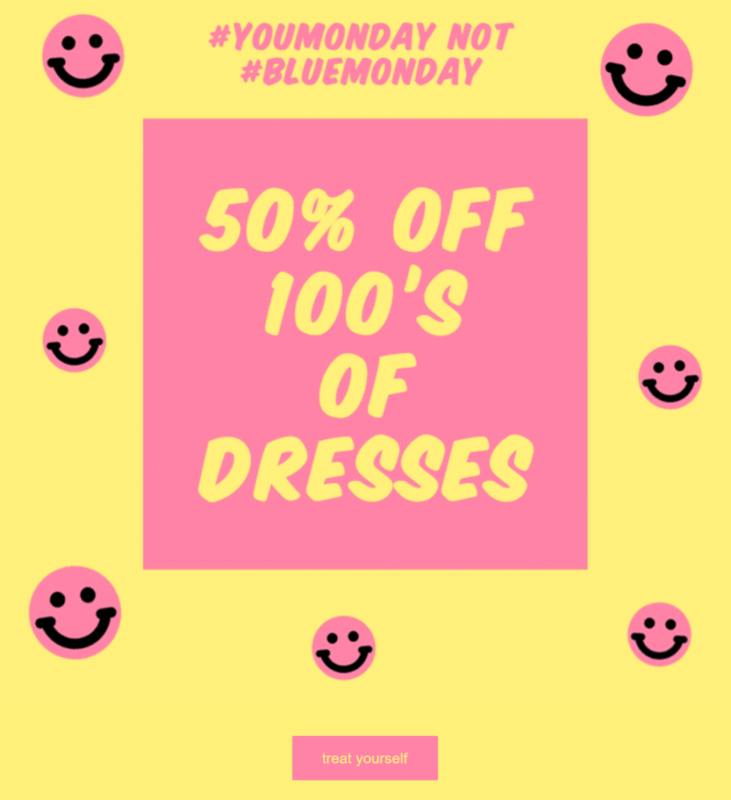 To help you geet over Blue Monday,here's 50% off 100's of dresses at Missguided. This offer is still available but will not last much longer!